Tasman Glacier Skiing with Southern Alps Guiding is now in its 26th year of operation and continues to deliver a professional high quality service. 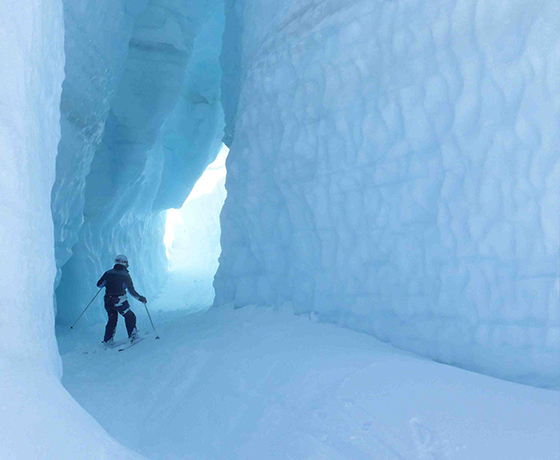 Skiing the Tasman Glacier and other glaciers of New Zealand are truly unique experiences and more and more people are wanting to enjoy this world of breathtaking beauty. 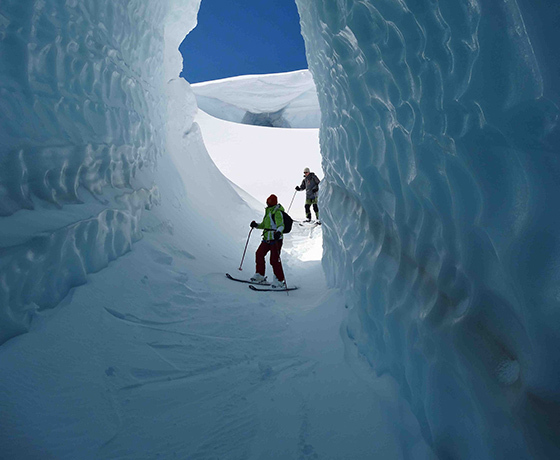 You don’t have to be an expert to ski the Tasman Glacier. The skiing terrain is ideal for intermediate and advanced skiers. New Zealand’s longest ski runs with panoramic scenery of the biggest mountains and glaciers in the country. Aoraki / Mount Cook dominates this awe inspiring landscape. Often referred to as the “8th Wonder of the World”, many people have this trip on their “bucket list” of things to do. Skiing the Tasman Glacier includes two “very long” ski runs of up to 12 km each run, professional guide service, lunch, 3 scenic aircraft flights, safety equipment, GST & DOC permit fees. Visit incredible ice caves, peer into deep crevasses (from a safe viewing point) and visit glacial canyons. The skyscraper sized ice blocks are an amazing site. Ski 2 of the longest glaciers in NZ in one day! This is a great ski adventure. Includes 2 ski runs, professional guide service, lunch, 3 scenic aircraft flights, safety equipment, GST and DOC permit fees. 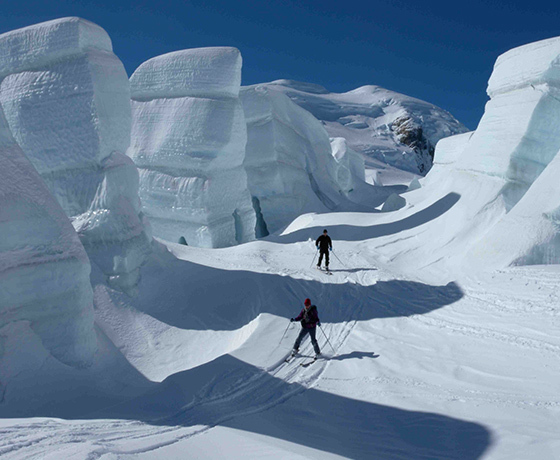 Ski the “Big 3” glaciers, The Tasman, The Murchison and the Mannering Glaciers. Internationally qualified guides look after you on this incredible journey. 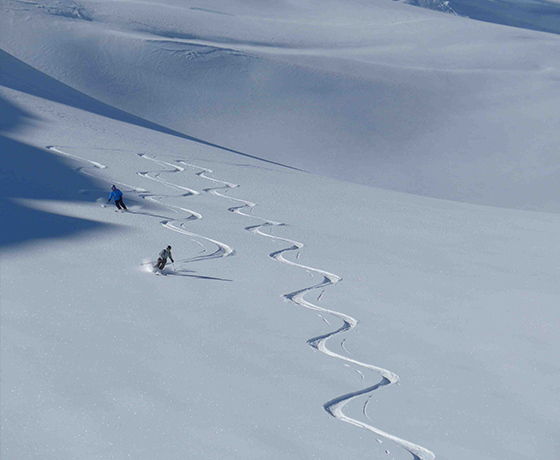 How to find Tasman Glacier Skiing? Bookings for Tasman Glacier Skiing are located in the Old Mountaineers Cafe, next door to the DOC Visitor Centre in Aoraki/Mount Cook Village.